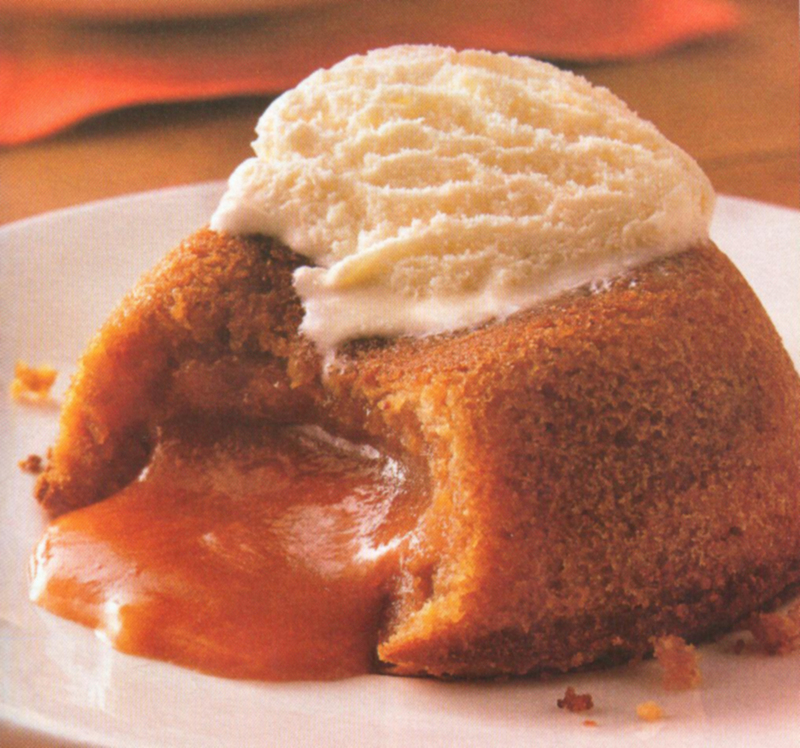 This recipe for Molten Butterscotch Cakes comes from the September 2007 edition of the Betty Crocker Fall Baking publication. It’s a good recipe, and a nice variation on all of the molten chocolate cake recipes out there. Prepare 6 (6 oz) custard cups with baking spray and flour. Sprinkle 1 teaspoon of crumbs on bottom and around sides of each custard cup. In 1-quart saucepan, melt chips and butter over medium heat, stirring constantly. Remove from heat and cool slightly, about 5 minutes. In large bowl, beat eggs and egg yolks with whisk until well blended. Add butterscotch mixture and flour. Divide batter evenly among custard cups. Bake 12-14 minutes or until sides are set and centers are still soft (tops will be puffed and cracked). Let stand 3 minutes . Run small knife around sides to loosen. Immediately place individual dessert plates on top of custard cups. Flip over and remove cup.